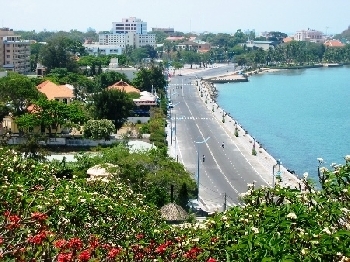 At Bau Trung lake area, hot spots of the occupied buildings, the policy of Vung Tau is determined to keep to the construction of lakes and landscape to urban areas. The city is planning to use stones all around the lake to maintain the existing status of application. If not, the risk pool is wiped inevitable. In addition to restoring the urban order, Vung Tau also focuses on the development of a civilized life. Along some urban routes, the city coordinates with electricity field displaced hundreds of power poles to avoid power lines at the top, when the trees growing up, they may damage the urban road system. Besides this, the city will build a model of the alley, the width of ensuring 4m or more, just in case of uncertainties, fire trucks, emergency traffic. Funding to expand the alley completely taken from the city budget, households do not have to contribute 20% of the budget as before. To retrieve the image of hospitable city, all names, signboards of restaurants and eating outlets and its services to tourists on the beach in Vung Tau will be publicly posted for visitors to know to avoid the situation of overcharge for tourists. According to the Chairman of Vung Tau chity - to strive becoming the first grade before 2015, Vung Tau will focus on developing services to become a key economic sector, priority service development tourism, trade, education and health. Focusing investment for construction planning, the urban development will be towards civilization and modern; prioritizing planning and building administrative and political center of Vung Tau city as a precondition for expansion of urban space in northeast of Ho Chi Minh city. The city will try to get more than 50% in 2015 wards with cultural standards, development of education at all levels right age and completed junior high school before 2015; upgrading health facilities will be invested and improving the quality of medical staff to meet the needs of health care and protection for the people. The city also pays attention to maintaining the political security, social order and its safety.